Chances are your little one is not sleeping well – and I am here to help you! My 21 Winks Program is a sleep training program specifically designed your little one with Down Syndrome.  I have had nearly 10 years experience working with families and children just like yours, and my goal and passion is to help you get the sleep that your whole family deserves and so desperately needs! – Get the rest they need for their age group! Here are my 7 top tips to help you get your little one sleeping better and independently. Did you know that a child gets 2-3 fewer hours of sleep than they should be getting? By getting your little one to bed early, we’re catering to what their natural circadian rhythm wants. Your child’s energy is dipping for the night sometime between 6 and 8 o’clock in the evening. By taking advantage of this window, we’re ensuring that your child will be able to get a solid 11-13 hours of sleep during the night (And yes… that is how much sleep children should be getting every night up until the age of about 11.) Putting your child to bed late will make them overtired, which for kids looks like hyperactivity. Missing the early window often leads to longer time to fall asleep, more frequent nighttime wake ups, and earlier mornings. Your bedtime routine shouldn’t take more than about 30 minutes, and it’s VERY important that the routine is the same every single night. The repetition and predictability are what let your child know that he or she will soon be expected to fall asleep. And, sleep should not only happen at the same time but in the same place as well. If your baby knows that the crib is for sleep, or that your toddler’s bedroom is for “night night time” only their brain and body will associate that place with calm, relaxation, and rest. If you’ve been rocking, nursing, or otherwise soothing your baby to sleep, this is going to seem like a tough one…but it’s actually the most important step! It’s only by letting your baby fall asleep WITHOUT your help at bedtime that he or she can learn the skills necessary to stay asleep through the night. And, this is not just applicable to babies as well. If your toddler has been used to going to bed with you there, it’s important that they are falling asleep without needing your help. Everyone – babies and adults alike – will actually wake up several times every night. For most adults, these wakings are so brief that we don’t even remember them the next morning. However, many babies will immediately start to fuss or cry when they wake up. This is simply because they haven’t learned how to fall asleep on their own. If a baby has been nursed or rocked to sleep at bedtime since birth, it’s not surprising that they wouldn’t know how to fall asleep independently. The good news is that many babies CAN figure out how to get back to sleep within just a few minutes of waking up in the night! If your child continues to fuss or cry for more than a few minutes, you’ll want to go in and offer some comfort, but it’s important to let your child do the work of falling back to sleep. You can speak softly to your child and do some gentle rubbing or patting, but you should avoid picking your child up and rocking or nursing back to sleep. To have the need to sleep, you have to do something to burn off energy, right? By being physically active, it helps to set your homeostatic rhythm (need to sleep) and circadian rhythm (energy fluctuation) in sync. This makes it much easier to fall asleep for the night. Mobility organizes the brain and puts patterns into place that affect other functions positively. For example, it’s very common for me to see when kids move from their tummies up to hands and knees, you’ll see an increase in vocalization. And, it’s very common to see that their vision gets clearer. Movement forces your respiratory system to work, and gets more oxygen to the brain. This can positively influence your child’s language development as well. The world uses a child’s diagnosis to say a kid can or cannot do something (more often to say “cannot” or “will not”). We make excuses for kids who are “differently abled”. People assume that kids like yours DON’T understand things. It’s a limiting mindset and it’s setting low expectations. How disrespectful is that? It’s because they haven’t learned how to do it on their own yet, just like thousands of other well kids out there! So there you have it… the 7 most important things you need to know about getting your child to sleep through the night. Of course, it’s important to keep in mind that every child is a little different – there’s no “magic formula” that will work 100% of the time for every child! If you’re interested in working with me and getting one-on-one help and support, book a FREE 15 minute call with me to ask your questions and see if the 21 Winks Program is the right fit for you and your child!